I realize I say this every time, but I really should try to get a post out more often. My wallet needs some food. There were plenty of tips: commenting on Steem-Bounty-posts, joining the 'Everybody Wins'-tournaments (now, why didn't I think of that one? ), using Smartsteem to sell my votes (although i'm not a big fan of vote-selling), posting more often and playing Drugwars. Now, the last one is not an option anymore. In case you missed it, you can check out their latest update here. I'm just glad that the community is finally starting to realize how fishy the entire 'game' is/was. But who knows... It's definitely an easy way to share a quick update. Every day things happen of which I think 'I want to share this', but I simply lack the time to create a full length post. So far, nothing really world-shocking happened during season 10. It seems like I'm doomed to play my Daily Quests with the Death splinter, but there are worse things that could happen, right?! I can't request a new DQ, because I kicked out all my Life cards. I can't risk getting a Life splinter DQ instead. But I don't have a real problem with the Death splinter. While it is ridiculously weak at the higher levels, imo, it is more than okay when playing at the lower levels. I did have to purchase a Screaming Banshee, though. 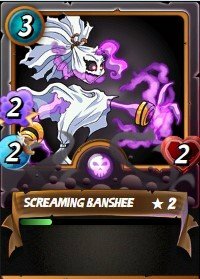 I needed magic to be able to beat the Life bots, and since the available magic cards when playing the Death splinter are all high mana cards, I just couldn't do without the Screaming Banshee. Unfortunately, it was a real bummer for my wallet. Those epics are pretty expensive. One of the things I like most about this experiment is that because my deck is incomplete, I am forced to find more creative solutions. 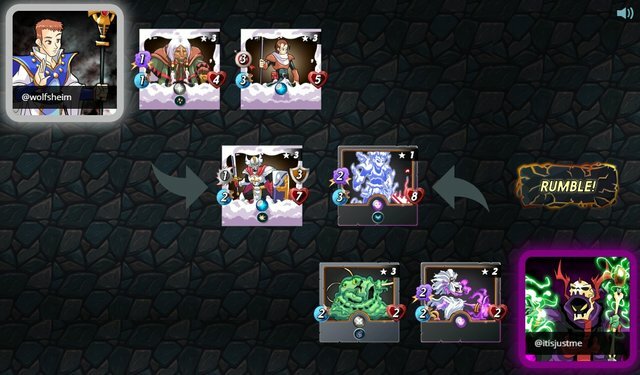 I notice that when I play with my complete decks, I have the tendency to use the same cards and combinations over and over again. I can in fact say that this experiment has helped me to become a better player. I still have a whole lot to learn, but this last month, I have been able to beat everyone in the top 20 I met in a tournament at least once. Those Life bots may be annoying, but with a little luck, a lot of magic and out-of-the-box thinking, they áre beatable. Next to the Screaming Banshee, I got a couple of other extra cards. Again, I won a couple of giveaways. I must say I have been really lucky when it comes to giveaways - right from the start they've been a lucrative way to build my deck. Below, you'll see the cards I won in the giveaways of @stiant, @jonnyla08, @nureza and @hafizul. 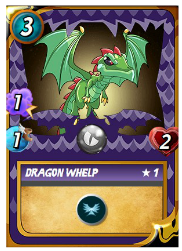 A couple of months ago, I won a Dragon Whelp card in a contest hosted by @minimining. It has been sitting in my deck ever since. Being only a level 1 card, it is of absolutely no use in my higher level deck. By gifting it to this account, it might be played every once in a while. I haven't used it yet - I keep forgetting it is there - but I'm pretty sure it will come in useful one day. Daily quests don't take up too much of my time. Most of my opponents are bots, but I guess that's mainly because I play during daytime, when most of the people in the US are not around yet. Nothing exceptional to tell about the reward cards either. After the Sacred Unicorn I got last week, we're back to commons and the occasionally rare. Exploding Dwarfs, Sea Monsters, Wood Nymphs,... you know. You probably get loads of them too. I've been holding most of them, because I have leveled most of my summoners up to level 3, which means I can bring the common reward cards up to level 4. But that takes 7 extra cards. I already have a level 4 Exploding Dwarf (of course) and Sea Monster, and for the other commons I'm still only a couple of cards short to level them up. I just requested the stats for my account, and to be honest, I had expected that the value of my deck would have dropped, since I sold my entire Life splinter. Instead, I was very surprised to see that my deck is now worth $37. That's $6 more than 4 days ago. I assume the baby dragon and the purchase of the Screaming banshee and enough Medusas to level it up to 3 (so it has the 'stun' ability) has a lot to do with that. The experiment is still going a lot smoother than I had expected when I started it. I have been very lucky the entire time. People have been very generous, and I've actually won quite a lot of giveaways. 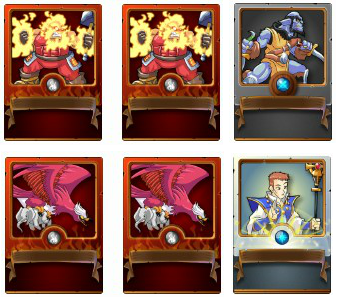 Interested in more stories about what it is like to start playing Steemmonsters without having a truckload of money to invest? Check out @senstlessmonster and @bxlphabet, who are doing something similar. Indeed! Your posts are beautiful. I sure enjoy them a lot. Thanks, @stiant. You're the best! Congratulations! This post has been upvoted from the communal account, @minnowsupport, by itisjustme from the Minnow Support Project. It's a witness project run by aggroed, ausbitbank, teamsteem, someguy123, neoxian, followbtcnews, and netuoso. The goal is to help Steemit grow by supporting Minnows. Please find us at the Peace, Abundance, and Liberty Network (PALnet) Discord Channel. It's a completely public and open space to all members of the Steemit community who voluntarily choose to be there. You just got a 0.09% upvote from SteemPlus! The bots are not a real problem actually. Allyou need to do to defeat a life team, is make sure you throw a lot of magic at them, preferrably as sneak and snipe, since the silvershield paladdin has reflect once at a certain level. First transfer was before 38.02 days. Your ROI per day is 8.58 % and you are earning approx. 0.02 STEEM per day. Your ROI per day is 12.93 % and you are earning approx. 0.03 STEEM per day.